Today is the 96th birth anniversary of Dr. Verghese Kurien. In many ways, Dr. Kurien changed our lives – the milk supply that we take for granted in Indian cities, Amul – a brand that invokes instant and affectionate recognition, and institutions that he built in his image – Anand Milk Union Limited, Gujarat Cooperative Milk Marketing Federation, Institute of Rural Management, Anand, National Dairy Development Board. Millions of dairy farmers owe their livelihood to these institutions. India’s White Revolution too. 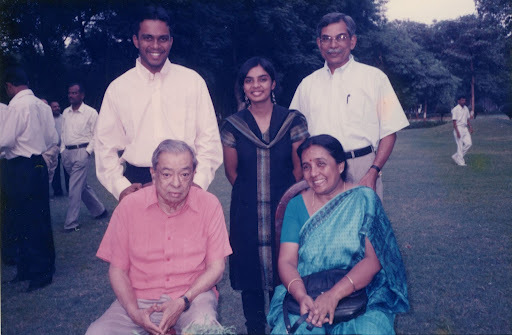 By the time I went to IRMA in 2003, Dr. Kurien was an elderly patriarch. But we hung to every word he spoke, every opportunity we got. Dr. Kurien was always present in our conversations on campus – often in jest, and often when one referred to any sort of strict disciplining of any kind – as one would expect, given his influence over the minds of students, teachers and workers at IRMA. His wit was legendary, and in one way or the other, his views shaped us all. But through all of this, the honour was entirely ours. This post below is from 12th September 2012, three days after Dr. Kurien passed away. I was at the Addis Ababa airport when I heard this news. Dr. Kurien is no more. He was perhaps the greatest achiever I have had the good fortune of meeting and exchanging words with. As tributes pour in for the great man, I cannot help but feel a tremendous sense of pride at having been associated with IRMA, the institute he founded and built. I walked into the Institute of Rural Management, Anand (IRMA) a good quarter-century after it was established and for the next two years and the years since, Dr. Kurien’s presence loomed large on all of our lives. Our batch had the opportunity of interacting with Dr. Kurien only a few times through the two years we spent on campus. But every meeting was a highly anticipated event and the excitement among the ‘participants’ (as students in IRMA are called) would be high as they rehearsed what questions they might ask the great man. A study that we did a couple of years ago showed cooperative dairies on an average delivered more than 70% of the consumer rupee to the milk producer. The cooperatives dictated the market structure. The competitors matched this benchmark at least on the upfront price. Dairying has the best return that a primary producer can get from the value chain in any agricultural commodity. How did this happen? By putting the entire value chain from farm gate to food plate into farmer-owned structures. Today cooperatives own a significant chunk of the organized milk markets. Dr. Kurien epitomised cooperatives, proving to the world that cooperatives can succeed. Built on sound business principles, Dr. Kurien built institutions that brought to fruition, the enterprise of scattered small farmers. When one sees the stupendous success of GCMMF, it is often difficult to imagine why there aren’t many more successful examples of cooperatives in India. Dr. Kurien’s commitment to farmers and primary producers is without parallel. Some of the conflicts and controversies that he was embroiled in during his later years were due to his unyielding faith in the spirit of cooperation and ownership rights of primary producers over institutions that worked for their benefit. This belief was challenged and has been severely tested over the years and rightly so. In his last years, the great man was isolated and shunned, even in the institutions he created himself, which I am sure, has been a painful phase in his life. However, this I can say with complete confidence – none of this did any damage to the universal adoration and admiration that he enjoyed in our hearts. Dr. Kurien is a doyen of our times and our respect for the patriarch was complete. The lessons Dr. Kurien offered to us have many facets – his role as an institution builder holds valuable lessons for current thinking in international development. Even though trained as an engineer, Dr. Kurien was not a technophile and for that alone, we should be eternally grateful. This blurb from Kentaro’s awesome blog-post on Dr. Kurien hits the spot – bang on! Further, on a lighter note, there were other noteworthy impacts on our lives. For one, Dr. Kurien has created a legion of die-hard Amul loyalists. If an Amul product is not available, we might grudgingly settle for a cooperative dairy product. Second, every time we see grass lawns, we are reminded of Dr. Kurien’s diktat of not walking on the grass. Third, we all remember and have repeated many times over, his famous words about princes living in palaces and not in pig sties (his justification for the state-of-the-art facilities and single occupancy hostel rooms at IRMA). These and more are part of the fond memories we treasure. We will carry these imprints on our souls for the rest of our lives. We did see the GOD in him !! I don't know if we will ever see such a man ! Future generations will find it difficult to believe that such a man ever walked over on the earth ! !